Do You Need a Perfect Solution for Your Los Angeles DUI… Or Just a “Good Enough” One? How should you handle your Los Angeles DUI charges? That question might sound trite. Obviously, you want to minimize/avoid punishments that prosecutors might ask for, which could include jail time, cumbersome probation terms and alcohol school, as well as unfortunate spikes in your insurance rates. In an ideal world, your DUI lawyer could just snap his fingers and make it as if police never pulled you over on the 210 for cutting across lanes or stopped you at a checkpoint near Caltech. 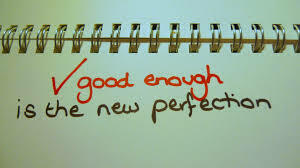 But we don’t live in an ideal world, so “good enough” has to be enough. In the world of math, the search for a perfect solution is called an “optimization problem.” Here is a vivid example. Imagine it’s raining torrentially. You need to seek shelter at a high place or you’ll drown. How high do you need to climb above the flood plane to save your life? The answer depends on an astonishing number of variables, including the amount of rain, your swimming ability, how far it is to the nearest high place, whether you can climb aboard a lifeboat or not and just float it out, etc. The IDEAL solution would be to hike up to the top of Mount Rainer, where the rain is least likely to drown you in the U.S. Obviously, this solution is impractical for many reasons: you just want to find a “good enough” solution, so you can ride out the storm in relative safety. Likewise, you want to think of your defense in the same way. What does the equivalent of “not drowning” look like for you? Would it mean avoiding a lengthy jail term? Would it mean being able to keep your California driver’s license? The clearer you are about what success means to you, the easier it will be to create a customized battle plan for your defense. Talk to Harvard Law School educated ex-prosecutor Michael Kraut and his team at the Kraut Law Group to figure out the next steps for your Los Angeles DUI defense.